Ideal for storage of flags flown over the Capitol along with certificate. Simply remove the mat to configure as a shadowbox for awards, medals, photos, etc. Comes with both blue and black background and material and instructions for easy mounting of your items. Ideal for storage of flags flown over the Capitol along with certificate. Simply remove the mat to configure as a shadowbox for awards, medals, photos, etc. Comes with both blue and black background and material and instructions for easy mounting of your items. Glass front with turn button closures on back of both the display and flag case compartments. The Large Flag and Military Medals Display Case Cabinet is the ultimate solution for those who want to create a perfect display for your 5ft x 9.5ft flag and accompanying certificate or medals. This is ideal for the storage of flags flown over the Capitol, along with certificate of the achievement. This Large Flag and Military Medals Display Case Cabinet is available in either cherry or oak, and has a glass front with turn-button closures on the back of both the display and the flag case compartments. 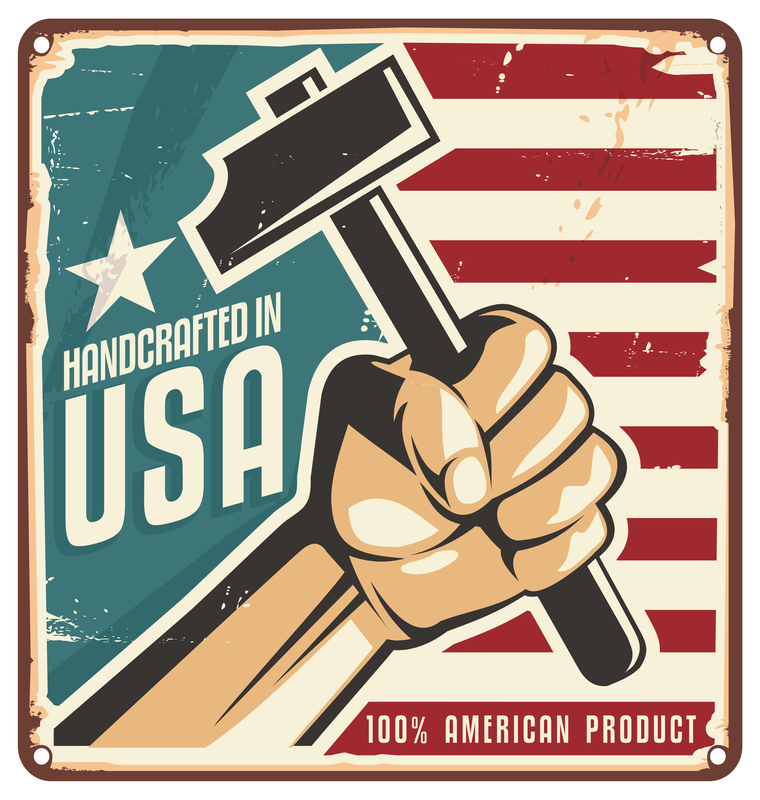 A precut mat is included to fit a standard certificate. Simply remove the precut mat to configure as a shadow box for awards, medals, photos and other valued mementos. 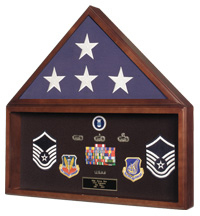 As an oversized fixture to hold what is dear to you - such as use as an Army flag display, a Navy flag display, a marine Corps display, a war medals display case, or a memorial flag display - this cabinet comes with both blue and black background and material and instructions for easy mounting of your items. This box is designed to be hung on the wall, but it can be placed on a shelf if so desired.